Looking at filmmaker Raj Kanwar's biggest hits. Dance, drama, dialogues. Raj Kanwar's creations endorsed all the pious ingredients of masala filmmaking. After dabbling with theatre in Delhi, Kanwar came to Mumbai to try his luck in Bollywood. He assisted Sunil Hingorani (Ram Avatar) and Raj Kumar Santoshi (Ghayal), establishing a rapport with its stars Sunny Deol, Anil Kapoor and Sridevi whom he would go on to direct in his future films. The filmmaker passed away earlier today in Singapore following a kidney ailment. Best known for his amusing, escapist fare embellished with A-listers and frothy songs, here's a look at some of the biggest hits of Kanwar's career. Although Hema Malini's Dil Aashna Hai is the first film he signed, Shah Rukh Khan first release was Kanwar's directorial debut, Deewana. The high-strung love triangle co-starring Rishi Kapoor and the late Divya Bharti boasted of some hugely popular Nadeem-Shravan songs like Sochenge tumhe pyaar, Teri umeed tera intezar and Koi na koi chahiye. Deewana was a success and did fabulous things for Kanwar and its leading actors. With the over-budget con caper Roop Ki Rani Choron Ka Raja and ambitious period romance 1942: A Love Story failing to draw expected response, Anil Kapoor was grateful for Kanwar for giving his career a new lease with a swaggering remake of Dr Rajkumar starrer Kannada hit, Anuraaga Aralithu. Though he played a glaringly chauvinistic character, audiences happily lapped his taming-the-Sridevi act, also starring Raveena Tandon. Laadla is slated to be remade in Marathi by Nitin Manmohan Desai with actors Nitin Purandhare and Mugdha Godse. 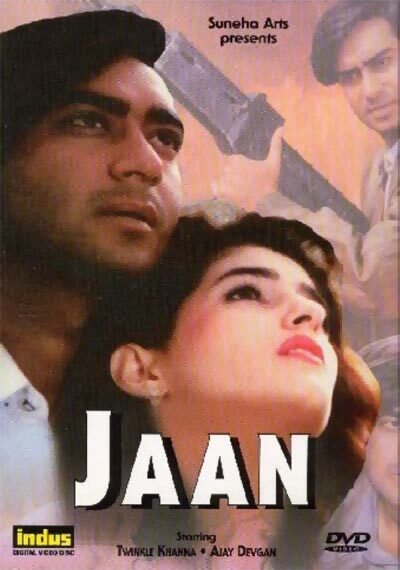 After the embarrassing Kartavya (Sanjay Kapoor, Juhi Chawla), Kanwar bounced back with Jaan. Despite a predictable plotline, he utilised Ajay Devgn's simmering intensity, Twinkle Khanna's sweet sophistication and Amrish Puri's towering persona to extract some engaging theatrics. Not to forget Anand-Milind's breezy soundtrack ensured Jaan fares decently at the box office. Sadly, the same team's attempt to recreate Itihaas turned into a no-show. Romance, reform, heartbreak, melodrama, Raj Kanwar's modern-day Muqqadar Ka Sikander brimmed with potboiler but undeniably entertaining elements. Kanwar's knack for a gripping narrative along with its star-studded cast channelling Sunny Deol's fierce intensity (and funny dance moves), Karisma Kapoor's glamorous presence, Salman Khan's endearing boyishness and Tabu's vulnerability resulted in box office collections befitting the film's title. It's a preposterous premise to begin with: asking your husband to marry another woman in exchange of money. Hats off to Kanwar and its Telugu inspiration, Subha Lagnam, for not only suggesting the same but pulling it off too. Realising Judaai's fate relies on Sridevi's inimitably comic timing and conviction, Kanwar let his leading lady take centre stage while the other star Urmila Matondkar's contribution was limited to prancing around in pretty Manish Malhotra outfits. Instead of impediments, Judaai's loud humour and implausible circumstances proved to be its USP. Kanwar showed his prowess at making hit films with fairly new actors too. In this loosely-inspired rehash of Harrison Ford-starrer Regarding Henry, he cast Chandrachur Singh (of Maachis fame), Mahima Chaudhry (Pardes) as a married couple and how one's dishonest ways affects their collective lives. Sanjay Dutt played an important role as well. The movie made money courtesy its strong performances and dialoguebaazi. Borrowing from Hollywood rom-com While You Were Sleeping, Kanwar orchestrated some spunky camaraderie between its brawny hero Salman and perky heroines -- Preity Zinta and Rani Mukerji. Plus, a special cameo by Shah Rukh Khan. HDJPK also scored big on foot-tapping Anu Malik compositions like Ek garam chai ki pyaali, Aisa pehli baar hua hai and Piya piya. In a bid to prove how the 'old wine, new bottle' formula still works from time to time, Kanwar concocted a over-the-top love triangle between Akshay Kumar and its beauty queens-turned-Bollywood hopefuls -- Priyanka Chopra and Lara Dutta. And prove he did. Though not a major hit, Humko Deewana Kar Gaye received a good opening. And for all its worth, Kanwar's Notting Hill-reminiscent romance marked the beginning of Akshay Kumar and Katrina Kaif's super duper chemistry went on to headline quite a few box office successes.